Flying to the UK tonight to launch my new Carcanet book of poems. Bittersweet feeling, actually. 12 years ago, when I was deciding between moving to the UK or the US, I plumped for the latter because it was terra incognito to me. It felt right to start a new life in a country completely new to me. The US has since given me so much. The encouragement and opportunity to come out as a gay man. Superb poetry teachers and exemplars. Friends and lovers. New York City. The poetry of Eiléan Ní Chuilleanáin (1942 - ) is populated by religious and folkloric motifs and so it reads like a world outside, beyond, beside, the ordinary world. This alternative world could be seen as a critique of the common world, but it is also vital in its own right. Her poem "St Mary Magdalene Preaching in Marseilles" inspired me to depict a Hell's Kitchen panhandler as St. Thomas the Skeptic. Her ekphrastic poem "Fireman's Lift," with its Virgin Mary spiraling upwards, reminded me of the beautiful old-fashioned lift in Singapore's St. Andrew's Children's Hospital, where my mother used to wash laundry. I read the poems of Li Qingzhao in the translation by Kenneth Rexroth and Ling Chung. 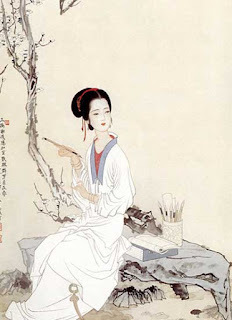 Li (1084 - c.1151) is "universally considered to be China's greatest woman poet," according to Lin Chung. "Her life was colorful and versatile: other than a great poet, she was a scholar of history and classics, a literary critic, an art collector, a specialist in bronze and stone inscriptions, a painter, a calligrapher and a political commentator." She is reputed to be "the greatest writer of t'zu poetry, a lyric verse form written to the popular tunes of the Sung Dynasty (960 - 1279)." 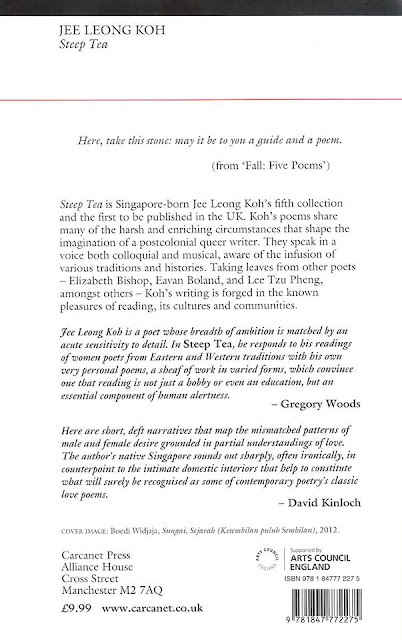 Another Singapore poet quoted in Steep Tea is Leong Liew Geok. My poem "Singapore Catechism" rings changes on an evocative phrase in her poem "Exiles Return." From her "laterite roots," I go from literal to lateral to littoral to literate to lottery to latterly to litany and back to laterite, in trying to answer the Singlish question "You go where?" Born in Penang, Malaysia, Leong moved to Singapore in 1981. 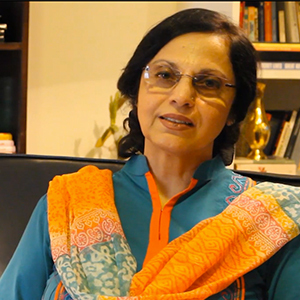 Thereafter, she published two important collections of poems, Love Is Not Enough (1991) and Women without Men (2000). 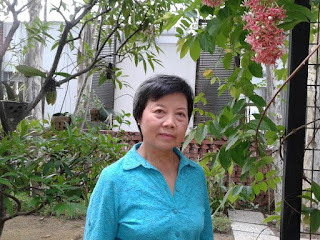 The gardening poems in her second book represent a signal achievement in Singapore poetry. Alternating between lyrics and dramatic monologues, they are a sustained engagement with the cultivation of both self and environment. Singapore Poetry is reprinting the informal sequence of poems as the first of its "Special Focus" series. An avid gardener, Leong shot photographs of her garden for the series. 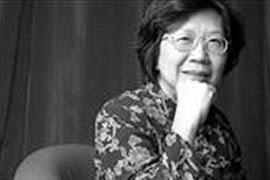 Five poems in STEEP TEA take for their epigraph a quotation of Anne Lee Tzu Pheng, who is widely considered to be the foremost woman poet of Singapore. Her "Neanderthal Bone Flute: A Discovery" meditates on the invention of art, in the form of the bone flute. "To see for the first time a thing other / than the mire of food," she wonders, and simultaneously criticizes Singapore's immigrant obsession with material wealth. My poem "Useless" imagines the first bone flautist to be a woman who discovers belatedly how long her ex-lover was sleeping with her replacement before breaking up with her. 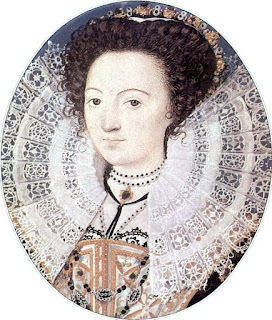 As far as we know, Aemilia Lanyer wrote only one book, but a big and ambitious one. Published at the age of 42, Salve Deus Rex Judaeorum (1611) is a Christian defense of women's virtue against interpreters such as St. Augustine. It is made up of several parts but the most interesting for me is an apology for Eve. The defense, imaginative, ranging, and vigorous, may be summed thus: Eve's fault was only too much love. This idea I took as the premise of my opening poem "Eve's Fault," in which Eve has not one but three lovers, God, the snake and Adam. The Carcanet blog has published my essay "Mothers, Not Muses" on my new book Steep Tea. Poets make the best mothers. I can pick up their books and be inspired and instructed. When I tire of them I can put them down. "Born and brought up in a farming village in Ibaraki, Kimura [Nobuko b. 1936] attracted attention with poems that mix folkloric and dream elements. "A poem is born, not so much because I make one," she once said. "It's just that something spurts out of me and hurriedly presses me into writing it down." 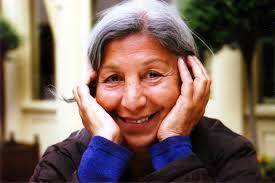 She started publishing her poems in her twenties and came up with her first book in 1971. Five books followed. Since the 1980s she had also published books of poems for children. 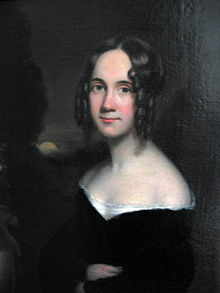 A housewife since her marriage, she has remained independent of any poetry group." --Hiroaki Sato in a preface to his selection of Kimura's poems in "Japanese Women Poets: An Anthology." 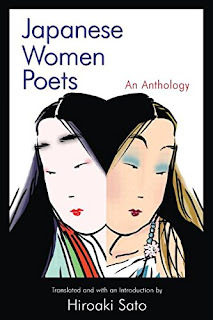 Hiroaki Sato stated somewhere else that while translating Kimura's poems for this anthology, he was so taken by her work that he translated and published a separate book of her poetry called "The Village Beyond." GH and I spent a lovely weekend with C and B at their lovely new home at Lake Carmel. C drove us to the Chuang Yen Monastery, a huge Buddhist temple complex, with a great Buddha hall and a Kuan Yin hall, and 225 acres of land. On our return to their house, we met their friends who drove from Queens for dinner. B went with GH and me on a walk around the lake. Dinner was fun, although we had to move the barbecue indoors when it started to drizzle. J had been working as a tailor since eight. His current job was for a TV series on hip hop from South Bronx. A was a currency trader whose bf G was white and worked as a loans officer for a bank. A villanelle is a tricky form to pull off. The challenge is to make the two repetends look inevitable and earned. I I wrote "Novenary with Hens" as part of the Poetry Free-for-all Apprentice Contest. The participants were given a choice of two odd titles. I had to look up the meaning of the word "novenary." Hens reminded me of the time when I was a kid and stepped on one of my chicks. It died on me and I have never had a pet since. While I was writing about this experience, two lines repeated themselves in my head: "I couldn't count to ten till I turned eleven" and "One, two, buckle my shoe, nine and a big fat hen." Surrealistic, rhyming dissonantly, they became the repetends of my poem, an elegy for the deaths of a pet and childhood innocence. I've just seen the back cover of Steep Tea. It looks mighty fine to me. Huge thanks to Gregory Woods and David Kinloch for their recommendations. Lambda Literary has just published my essay on Pauline Park, my friend who identifies as a Korean adoptee and a transgender woman. Thanks, William Johnson, for accepting the essay. My new Carcanet book Steep Tea is now available to pre-order at the special price of £8.00 with free UK postage and packaging. Discount code KOH03 (case sensitive) at checkout. Every Singapore poet has an airplane poem, my friend and writer, Ruihe Zhang once said to me. It's an observation that stuck in the mind. Yes, Singaporeans love to travel out of their tiny island-state, and the quickest way to go abroad and back is to take the airplane. I wanted to write an airplane poem too, but for a long time did not know what it would be about. Exchanged Facebook messages with John Clegg, with whom I will read at the London Review Bookshop on July 7. When he mentioned my "Translations of an Unknown Mexican Poet" and his PhD in pseudo-translations, he gave me the idea of treating my haiku as pseudo-translations of an insignificant Japanese poet.